The Zion Temple Christian Academy’s Development Department is responsible for fundraising, grant writing and acquiring resources. Started in 2010 by Principal Elder Charles Smith, the purpose of the department is to upgrade and assist in the maintenance of the school and to provide support for academic advancement. Continue fundraising to pay off an advancement used for the playground. Maintain of the playground area grounds. Incorporate yearly online Math & English practice programs for grades K-6th. Work with community agencies and businesses to provide selected free services to those in need. Installation of Phase 2; the final phase of the new playground. The instalment of an indoor basketball rim system. Upgrading the student computers, printers, wireless adapters and media player. Completion of a school wide paint upgrade of the hallways and foyers. The installation of “The Mather School” mural in the main foyer; courtesy of artist Mr. Jonathan Green. 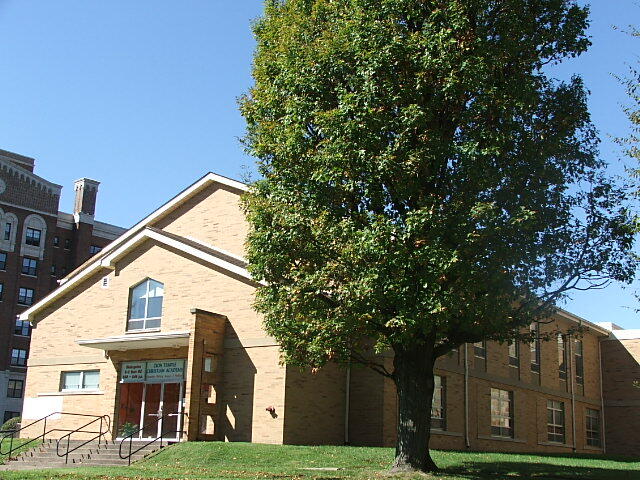 The school offers one of the most affordable tuitions in the Cincinnati area; however tuition alone cannot meet the real costs of maintaining a school. With the support of parents, local businesses and stores the department can achieve the academy’s goals. Donations from organizations and individuals are also accepted; to donate please call the main office, mail a donation to the school or leave your donation in the main office during school hours. Copyright © 2019 Zion Temple Christian Academy. All Rights Reserved.